This past weekend my daughter and I went to Charlotte for her bi-yearly CT scan, assuring that her cancer remains in remission. 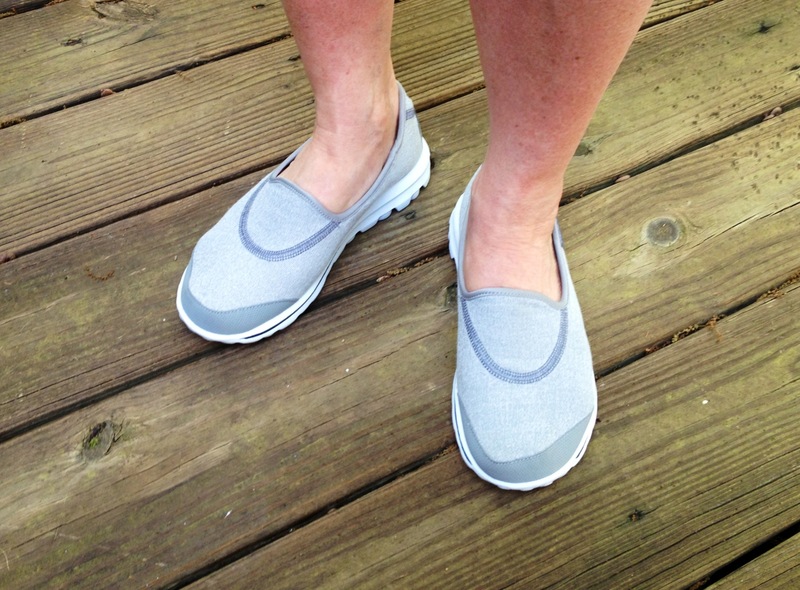 We made a weekend out of the trip and went shopping at South Park Mall, where she bought me an early Mother’s Day present–new Skechers! We revisited a great restaurant, Thai Taste on East Blvd., but the food was so tempting we forgot to get any pictures of it. 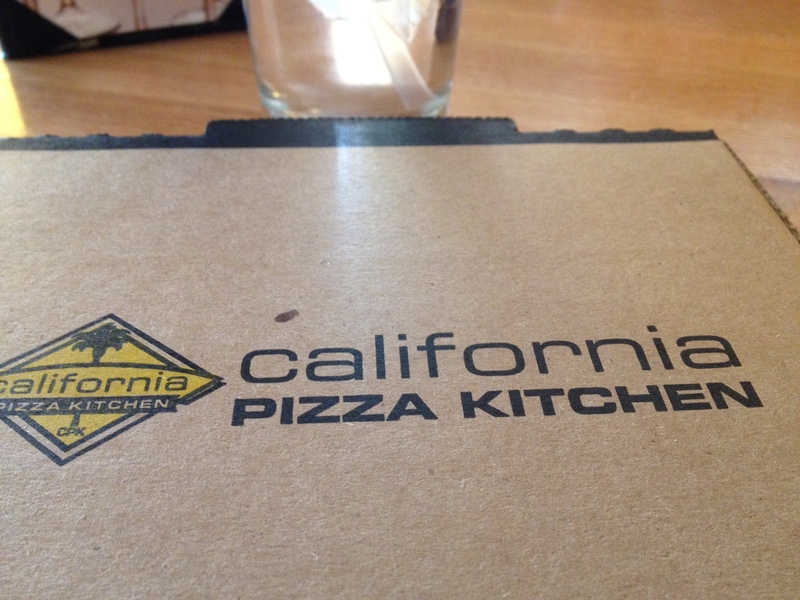 And we had a wild mushroom pizza at California Pizza Kitchen–yum! We also ate that before we could get any pictures, which is why we only have a picture of the box! 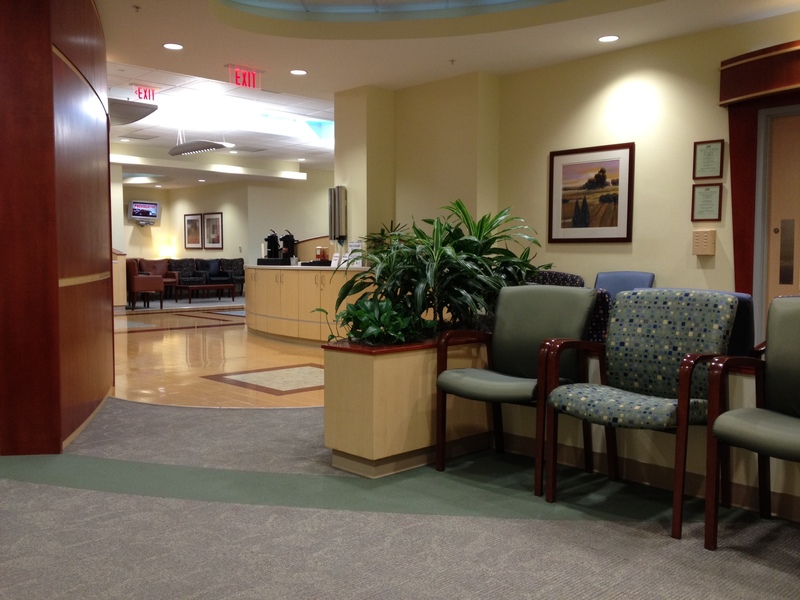 Kim got up bright and early to be the first one in the waiting room to get her scan (see picture below!) We got wonderful news and we even puzzled the doctor with how well she’s doing! We don’t have to go back for another six months, and after that we get to go yearly (the 5-year mark, yay!). Next trip, we’ll try to remember to get pictures of the food! A perfect trip in every way! Yea!!! Glad to hear the good news.